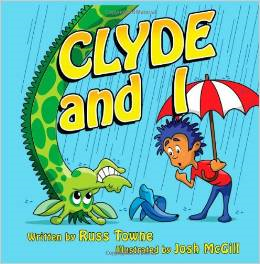 The physical proof for “Clyde and I” arrived today and I officially approved it. With the proof approved, the book will be loaded onto Amazon.com within 5-7 working days and I’ll be able to order the copies that I’ll send to applicable backers once it is visible on Amazon.com. Also, it will be available for purchase by others then too. 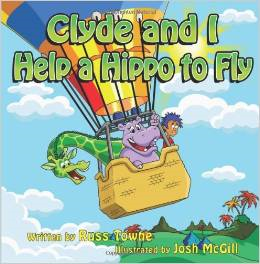 I hope to receive the physical proof for “Clyde and I Help and Hippo to Fly” by my birthday on Wednesday. 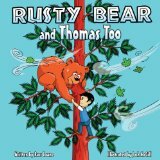 The last three full-color illustrations are being completed for “Rusty Bear and Thomas Too”. I hope to have that book ready to send to the printer in September. Work is continuing on the story and the concept drawings for “Grumbly Grumpadinkle” which I plan to develop into my fourth children’s book before the end of the year. I just ordered the special cardboard boxes to mail the books, and they should arrive tomorrow. 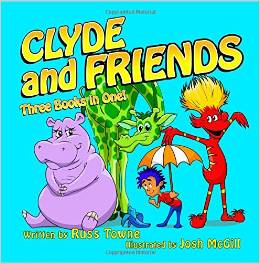 The greeting cards with illustrations from “Clyde and I” on the cover were ordered last week and I hope to receive them by this weekend. We still remain well ahead of schedule, perhaps by as much as 3 or 4 weeks. 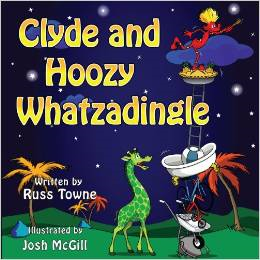 This entry was posted in Children's Stories Under Development, My Creative Process, Self-Publishing Books and tagged "Clyde and I", "Rusty Bear and Thomas, author, children's books, children's stories, Clyde and I Help a Hippo to Fly", Grumbly Grumpadinkle, illustrations, physical proof, printer, publisher, self-published, Too", writer. Bookmark the permalink. Fantastic, can’t wait! 🙂 I am so excited! Thank you, Ute. Hopefully, the second title will be available within two business days of the first and I’ll be able to mail both to you at the same time.